There were almost 6.000 trades of single malt whiskies at the auction houses we track in November 2017. These observation affected 3.262 whiskies in our whisky database. This means that November 2017 was the most active month since we started analyzing the whisky auction market. The worth of the overall 300 most traded scotch and japanese single malts stabilized over the last few months. 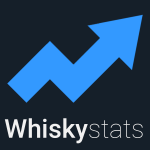 Our Whiskystats Whisky Index (WWI), which describes the relative price movements of these 300 bottles, continues its side-movement somewhere around 340 index points. From January to June 2017, the WWI climbed by 7%. We have called the year of 2016 “the year of the Macallan price rally”. The reason for this was quite obvious. In our article The Grand Macallan Price Rally we observed that “From December 2015 to February 2017 the value of the 100 most traded Macallan single malts increased by 69,5%!”. Back then we also observed that this rally came to a hault since prices of the 100 most traded Macallans dropped by almost 8% in spring 2017. Back then we concluded that the Macallan price rally could be over. And boy, have we been wrong! Our Macallan index simply continued to climb like it did in 2016. From late spring to November 2017 the value of the 100 most traded Macallan bottlings increased by more than 22% again! Macallan now is 130 index points above third placed Karuizawa in our monthly updated distillery ranking. So the Macallan price rally was definitely not over, and it might continues from here on. As every month, the single malts from Islay belong to the most traded whiskies on the market. In November there were 1.821 Islay bottlings which got sold on auctions. This makes Islay the second most traded region only behind Speyside with 1.881 whiskies sold. In our price update for October 2017 we saw that our Islay index lost ground significantly over the last couple of months. From May to October 2017 the 100 most traded Ardbeg bottlings lost more than 9% in value. This month, this downward movement was stopped. The 100 bottlings gained 2,3% in value again. Our Islay index is now at the same level as it was in January 2017. We now want to point out some outstanding price observations we made last month. Most of them are from whiskies which haven’t been traded for a long time. There is for example our top value gainer of November 2017, the Port Ellen 15yo (1969) bottled by Gordon & MacPhail. This single malt was traded for 7.800 Euros which equals a 2.000% price increase since January 2006. Another top value-gainer is the Springbank 40yo (1969) Cask Strength Collection by Signatory Vintage. One of the once existing 356 bottles sold for 7.928 Euros. Back in October 2015 the price tag was 1.200 Euros. When we look at the most traded whiskies of the month we see some usual suspects. The Glenmorangie Midwinters Dram is among the top ten quite regularly. This month we observed 21 trades which averaged to 46 Euros. The top spots are taken by the Macallan 18yo 2017 Release with 46 trades and the Highland Park Dragon Legend with 36 bottles traded. The prices for the Macallan averaged to 239 Euros, for the Dragon Legend it were 53 Euros. Do not forget to check the value of your personal collection! And happy holidays! We plan to set up a new index which shall represent the most outstanding single malts on the market. This index will be called the “Whiskystats Fabulous Fifty” and we invite you to name us your All-Star picks which should be included! In our recent Bowmore Portrait we dropped the hashtag #fwp as a reference to one of the many interesting stories that could be told from this distilleries history. To clarify things, we want to explain what is hidden behind fwp. This topic contains 0 replies, has 1 voice, and was last updated by Whiskystats 1 year, 4 months ago.